One of the things that all the training schedules I examined when planning my 100km training plan seemed to suggest that I needed to get time on feet. Of course. It is always something that I’ve been very aware of before. If you are going to run for 12 or 14 hours nonstop, your body needs to not just be conditioned to run for a prolonged period of time, but it needs to get used to spending longer periods of time on it’s feet! The very nature of my work is that when I am with clients, I have to be sat down, and for years, I have sat in my office when working on all my other projects and aspects of my business. 1. Running on already fatigued legs each week. 2. Spending more time stood up during the day. Number one, I plan on writing about in coming weeks. I am weight training my legs and doing a Saturday run prior to my Sunday long run so my legs learn to cope with feeling fatigued on my long runs. I am also ensuring I have good rest and recovery periods following that. As I said, more on that in a later blog entry – it comes with some really neat psychological processes too. Number two though – spending more time on my feet…. I’ve done it, at the end of last year, with this training plan in mind, I bought myself a standing desk. I wrote an article here on this blog a few years back; The Physical and Psychological Health Benefits of Standing Up More and The Health Issues Related To Sitting So Much! And everything in that article still rings true today and is a very worthwhile read. Here is my desk anyway, it rests upon my original desk, I love it….. When I run my training courses with work, I have to be stood up to deliver the courses, so I get time on my legs then, but now I also am stood up on the 3-4 days that I work in my office each week. It makes such a difference. For the first couple of weeks, I actually struggled to spend the full day standing. I started switching legs as the day went on and kind of fidgeting with my posture as I was not used to it. I have since developed more of a standing endurance (which I know sounds ridiculous) and it feels so good. 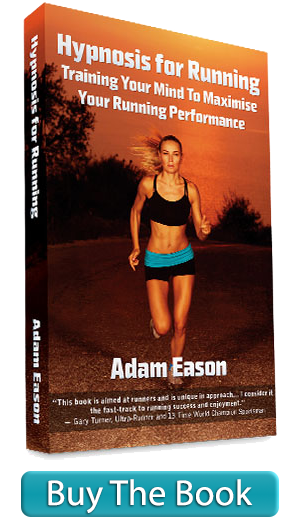 I notice it when running, I’m not getting as tired as quickly, and I notice it with my posture. The only day I still struggle is following on from my “beck day” when I have been deadlifting and doing hyper-extensions on the Roman Chair in the gym, or when I have worked my obliques really hard (one handed farmers walks anyone?) and the muscles used to stabilise me when standing are being used again. It shows how much of a difference it makes and how much good it does to spend more time stood up in general. However, it is the many hours of standing that are actually a key ingredient of my training plan, alongside the running miles and time in the gym. My running schedule is still pretty simple, an hour of intervals on Tuesdays, a threshold run on Thursdays, an easy-is run on Saturday morning and my long run on Sunday mornings. My Sunday long run has only just reached double figures, so I’ve not got loads to shout about at the moment, I’m focusing on quality with the runs at this stage, getting my fitness back, building my endurance and watching my Vo2 max gradually change each week. All in all, things are going well, despite the relative ease of the programme compared to former programmes (for fast marathons in particular) I am still finding it difficult at times, and am well in need of my sleep each night. I hope that by the end of February/beginning of March, my fitness will be back and we’ll start pushing on with some volume and getting some 30-60km long runs done at the height of marathon season in April/May. Ok, that’s all for today, I shall be back soon.